Marbling, like all other things in life, have a proper time and place. Namely, all the time and everywhere. Especially when you’re baking. 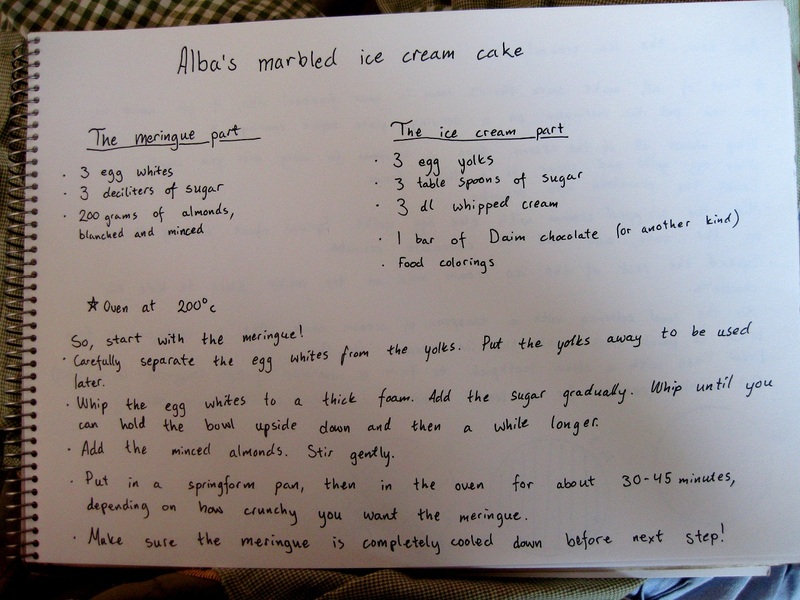 This is a marbled ice cream cake. It’s the yummiest cake I know, and when done right, it’s the prettiest too. 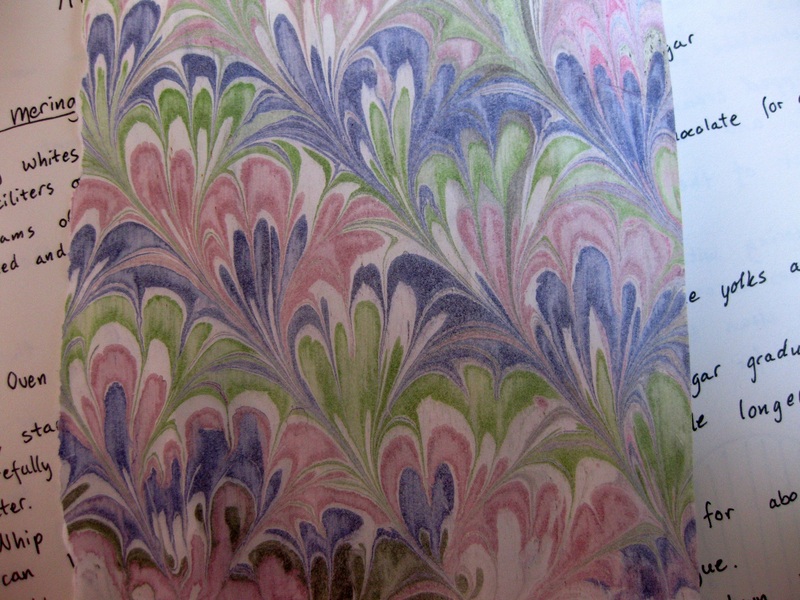 The last picture is one of my marbled papers. 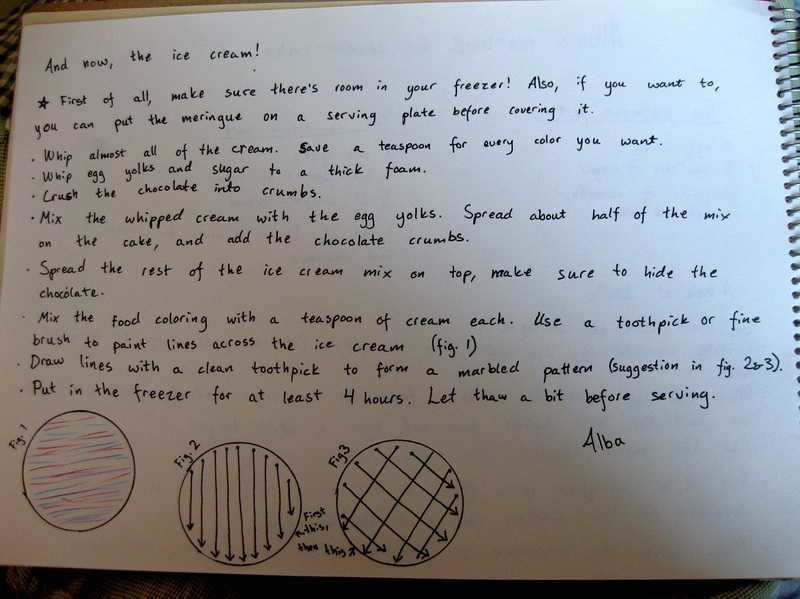 It’s done in a fan pattern, which is the pattern I’ve described how to make on the cake.